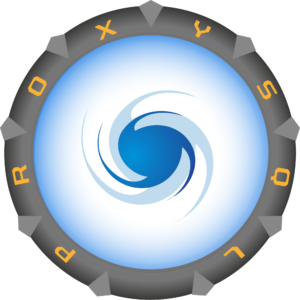 ProxySQL is a high-performance proxy, currently for MySQL, and database servers in the MySQL ecosystem (like Percona Server for MySQL and MariaDB). It acts as an intermediary for client requests seeking resources from the database. René Cannaò created ProxySQL for DBAs as a means of solving complex replication topology issues. The ProxySQL 1.4.14 source and binary packages available from the Percona download page for ProxySQL include ProxySQL Admin – a tool developed by Percona to configure Percona XtraDB Cluster nodes into ProxySQL. Docker images for release 1.4.14 are available as well. You can download the original ProxySQL from GitHub. GitHub hosts the documentation in the wiki format. This release introduces an improvement on how proxysql-admin works with the --max-connections option. In previous releases, this option always equaled to 1000. Now, proxysql_galera_checker uses the value of the --max-connections option set by the user either in the command line (proxysql-admin --max-connections) or in the configuration file. If the user doesn’t set this option, it defaults to 1000. PSQLADM-130: Every time a node is removed and then added back, proxysql_galera_checker script restores the custom value of the --max-connections option set using proxysql-admin --max-connections. The --syncusers option of proxysql-admin starts to support MariaDB. Thanks to Jonas Kint (@jonaskint) for this contribution. ProxySQL is available under Open Source license GPLv3. Is there any other way to download ProxySQL Admin? I’m trying to perform this action (just as indicated in the post), but the page is just loading and then my Avast system shows the message that there may be an issue with the domain. What could be the reason?